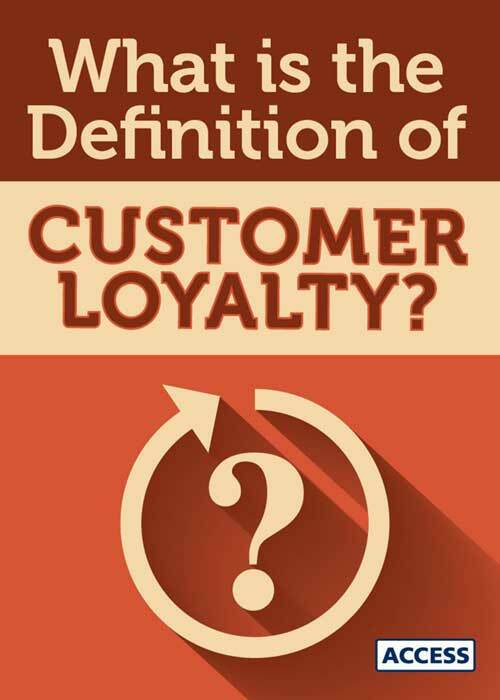 What Is The Definition of Customer Loyalty? Customer loyalty can be defined in several different ways. Primarily, customer loyalty is when a person transacts with a brand (or purchases a specific product) on an ongoing basis. However, loyalty can take many different shapes and forms. Some argue that customer loyalty is when a customer only purchases from specific brands. For example, you will only buy groceries from one store, even when it isn’t convenient or the cheapest option. Others say loyalty doesn’t always manifest itself in purchases, but in behavior such as social advocacy. A customer may only buy one Toyota in their lifetime, but they may be an outspoken advocate of the quality of Toyota vehicles to friends. It’s up to each business to decide how it defines loyalty, whether it’s transaction size or frequency, fidelity, evangelism or just devoted engagement. It generally boils down to this: when they need something you offer, loyal customers will give you the first chance to earn their business. We’ve long stated that there isn’t a magic bullet to customer loyalty. That said, it can be created in an instant. At a high level, there are four umbrella factors that go into customer loyalty. Each of them plays a role in keeping a customer returning, though not all four are required to truly capture loyalty. For example, price alone can keep some people coming back, regardless of product quality. It’s important to know what value your customers actually get out of your product or service. This includes your marketing and price points. For what they pay, will customers get what they expect from your product or service? Will it solve a problem for them? To spur a loyalty-earning moment, exceed their expectations. Also related this point is defining your audience and pursuing your ideal customer. This is a composite of the people behind the brand. It includes engaged employees (whose role in customer loyalty is vastly understated) and a dedicated customer service team. Oftentimes, this is where people are going to get the most value from their purchase. Great service comes from organizations with a customer focus. A customer focus results in better products as well as better responsiveness to needs. Even if the core product is great, poor service can jeopardize customer loyalty faster than other elements. 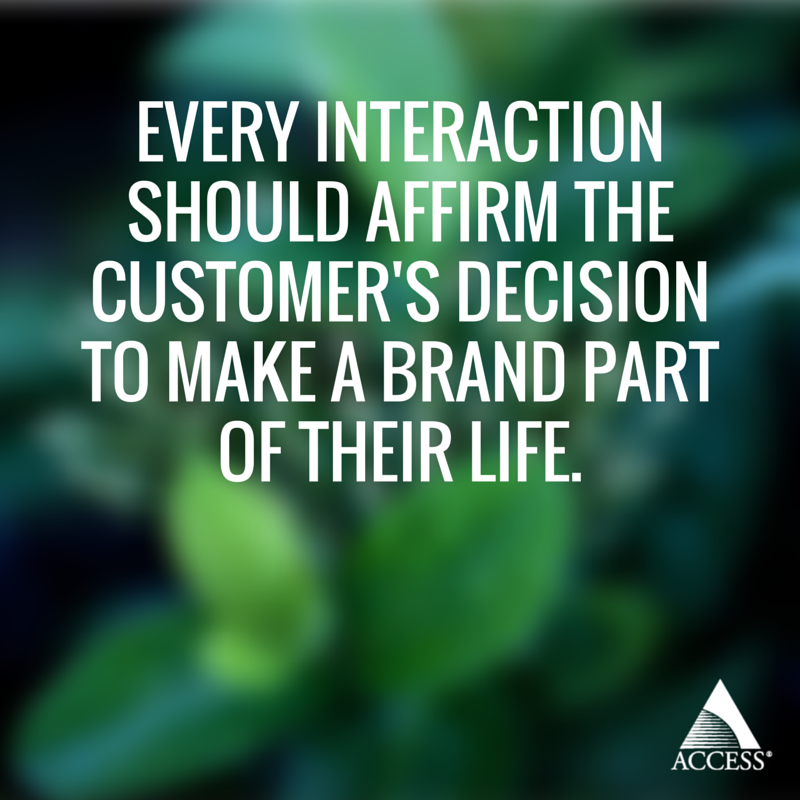 Treat each interaction as a loyalty-earning moment. Angry customers are looking to have a problem solved. Also, seeking feedback from customers is a great way to identify weaknesses and improve the organization as a whole. No matter how great you are, sometimes people need a little reminder of what you’ve done for them. Customer engagement is all about creating an ongoing relationship between customers and brand. Engagement happens through regular communications (social media, email newsletters), customer incentives, and loyalty programs. A recent addition is online communities, which allow customers to connect with each other). Engagement is especially important for businesses that don’t have regular transaction opportunities. Membership organizations, for example, must have strong member benefits that can express regular value. That ongoing engagement pays off when the time arrives for the member to pay annual dues. It goes without saying that each moment of engagement is also a loyalty-earning moment. Every time someone opens an app, reads a brand Tweet, or sees a newsletter in their inbox is a chance to solidify or deepen the relationship. 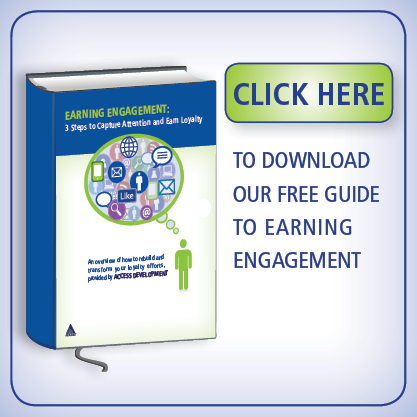 According to recent studies, emotional engagement is overtaking rational engagement. That means customers are beginning to judge brands based on how those brands match their own values. Closely related to expectations, values include how a brand matches the identity of the customer. People prefer to do business with a company that matches their personal values, such as environmental friendliness or community involvement. Karl’s Jr creates calorically-dense food marketed by supermodels, despite the organic and healthy movement. Meanwhile, Trader Joe’s has staked out the affordable organic market. Both are doing well by matching the desired values of their customers. Nike appeals to weekend warriors who wish to compete at the highest levels. Dunkin’ Donuts has coffee and pastries without pretense. REI closed stores on Black Friday and encouraged people to get outside. These are companies shaped around their customers’ values. When a brand meets its customers' values, every interaction becomes a loyalty-earning moment. Stated simply, loyal customers spend more, more often. Earning loyalty with just 5% of customers can lead to an increased average profit per customer of between 25% and 100%. BIA/Kelsey research shows that repeat customers spend 67% more than a new ones. There are a lot more stats that back this up (and have have 500+ of them listed at our loyalty stats collection page). But you get the point. It’s simply more profitable to retain a current customer than to chase a new one. Currently, over three-quarters of the population doesn’t consider themselves loyal to any particular brand. Companies that put forth an effort to earn customer loyalty have a competitive advantage. Most companies in the marketplace fixate on the business they don’t have yet. While it’s cheaper than new customer acquisition, earning customer loyalty is not easier. Acquisition can be hacked or bought, with some nice short-term gains resulting. Loyalty requires a focus on the relationship, with an organizational commitment to meeting needs. Even with such a focus, customer loyalty can be lost just as swiftly as it is won. All it takes is one bad service experience or a change in a product’s composition. Some customers will walk away just for the sake of trying something new. It’s best to approach earning customer loyalty on a day-to-day basis. Always add value, whether through promotions, customer appreciation gifts, communications, events, or any other number of tactics. They may not stay forever, but the longer you can keep a customer the more profitable they become. The more loyal you can keep them, the more of the customer lifetime value you get to realize. Customer loyalty is your way to realize countless sales and referrals. You don’t have to be drastic and stop all new business development. Even a small commitment to building better customer relationships will show a positive return.